On the "Riding History to the Limits" section on Coney Mall (at 1:32), Gary Wachs mentions "I think we brought the Wild Mouse up [to Kings Island]"
If this is in fact true, why wouldn't it have ever been built? Maybe he mixed up "The Galaxi" and "The Wild Mouse"...? Or maybe the ride was deemed too old and corroded to set up? It is not correct. The Wild Mouse at Coney was a Schiff. It was removed long before the park closed at the end of 1971. 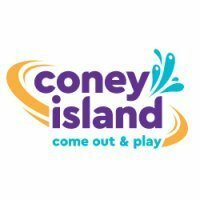 I visited Coney Island of Ohio in 1971, and it was not there. Nor was it ever at Kings Island. Bavarian Beetle WAS at Coney Island of Ohio, as Galaxi, and was moved. It was not a wild mouse, by any stretch of the imagination. Yep. Interpreter is right. According to RCDB, the ride was installed in 1958 and removed in 1969 or earlier. According to my research, none of the Wild Mouse coasters produced by Schiff are operating anymore. A few of their kiddie coasters can still be found a few parks. It should be noted that the original documentary linked to is no longer available at that link.